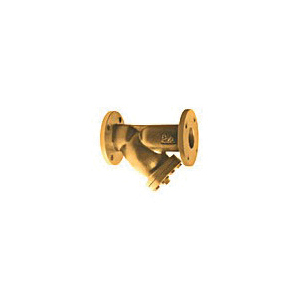 Series 77F-BI Bronze, Flanged, Wye-Pattern Strainers are used in liquid and steam applications. They feature a wye-pattern, Class 150 bronze body, stainless steel screen and blow-down plug. Series 77F-BI can be installed in horizontal or vertical pipe with the blow-down connection at the lower end of the screen retainer cover. Maximum Pressure (non-shock): 225psi (15 bar) at 150 deg F (66 deg C) WOG; 150psi (10.3 bar) at 406 deg F (208 deg C) WSP.